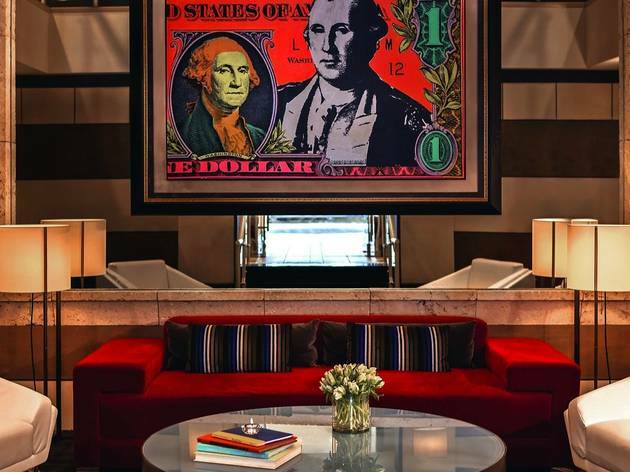 The first Kimpton Group property in DC, the George sets the bar high. From the sleek and airy lobby in light sandstone with grand piano to the hip, buzzy bar and excellent restaurant-bistro Bis, it succeeds in creating an urban brand of style. 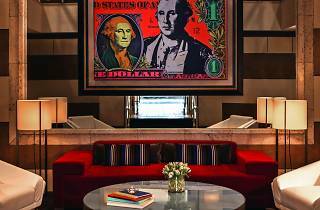 Rooms are generously sized and decorated with refreshing restraint and style—not a floral in sight, and the only flourish is a Warhol-like print of a dollar bill. The gym features high-tech equipment and steam rooms.